This is probably the only marketplace designed to sell only 360 videos. the video customization options are really great, there are also several branding that can be done to make your video stand out. the video analytics is top class and well it depends on the plan you're on. support is also nice, you can get a reply within minutes and absolutely satisfied with them. there are great privacy setting and you got the full control over the video, you can edit the video whenever you want and if you want you can aslo share them publically. social distribution is a tool that lets you share the videos directly to social media from your dashbord which is very easy. there are many tutorials on 360 videos like how to shoot thema and how to view them properly which will be a great help for the newbies. you need 360 camera and VR helmet if you want to work with 360 videos and they are costly. to get priority support and sell videos you need to go with higher membership plans that everyone wont be able to afford. playback speed is controlled by membership level and that not a good feature. try the platform if youre interested, there is nothing like testing it out by yourself. Vimeo 36 is a market for 360 videos, here you can sell your videos or hire creaters to do the work for you. the player is great with a lot of customization options. I recommend vimeo in terms of regular services and when it comes to their 'more immersive' services, you can expect the same level of quality that you have always received from them since day 1. I know I can trust Vimeo to give me good service and I can expect the results I want from what I upload in terms of viewership, likes, etc. I sometimes feel like their help center does not respond as fast as I would like them to. They do respond fast, but not quick enough sometimes. I usually end up googling or searching facebook for my answers to problems which is more time consuming, but I still get an answer quicker than waiting. It is annoying that not everyone will be able to appreciate your work without the appropriate medium to watch (IE VR glasses) but, those who can will appreciate it and even those who can't will still be happy with what they are seeing, because Vimeo quality is Vimeo quality in the end. I have no other products I would recommend. This is the only one even worthwhile to consider. Go for it. It is the best out there. Knowing vimeo, the kinks will be worked out and it will be the best thing you will have done for yourself. How else can I put my VR out into the world aside from uploading it online? think that you will get From Staff Picked filmmakers to emerging pros, today's best 360 creators call Vimeo home. Follow our 360 channel to see the freshest videos — hand-picked by our curation team — and join our growing community. How to shoot a 360 video in the school, you can Learn how to nail 360 video production: from key terms, to Nokia OZOs, to wireless mics and beyond. and even Enjoy powerful gear and software integrations, with more on the way. Host all our business videos with storage to spare, and start at the end at our company 360 videos with Vimeo PRO or Business. "Valuable tool for viewing high resolution videos"
Vimeo is often used to watch high resolution videos either through independent sites and offers a great way to give an audio/visual presentation for a variety of different uses. I value the audio/visual component in the classroom because it not only captures the imagination, but it also allows students the opportunity to also use videos in their own classroom presentations. There aren't any problems that I have had with Vimeo videos other than downloading issues from time to time. Consider using this product to not only increase learner interest and retention, but also consider its use in other applications as well. I have played video presentations with Vimeo in the classroom. As someone who recognizes the value of audio/visual presentations in the classroom, I can say that Vimeo 360 is a great tool for teaching content and inspiring creativity in 21st century learners. I look forward to future opportunities to use Vimeo360 as a teaching tool for both teacher as well as student use. "New, High Quality Storytelling Service"
The ability to interact with over 200 million users on Vimeo with some of the best upload and download quality in HD. Helps attract new customers and build brand presence while showcasing a fun side of entertainment. Has hundreds of video lessons available with service. Business account only $50 per month, but billed annually before trial ends. Give the trial a shot and maximize your 5 terabytes. Have a storyboarded creative plan with goals, strategies and specific objectives before blindly starting your business account. Do not abandon once you start only to come back months or a year later, or your fans may abandon altogether. Keep your fans in the loop and provide special content not available on FB/Instagram. We have expanded our market presence and awareness in emerging markets. Helps us to lead/link into social presence on facebook and instagram. As a freelancer in several professions, I use my camera to shoot interior shots of real estate properties. With Vimeo360, unique storage for my video files is key. Plus, the included ad-free player is a nice addition to playback. The software itself is great. I wish that, as a free user (which I understand), I can only upload 500mb of data each week. As you can imagine, this is completed with footage in no time. Thanks to Vimeo360, I can explore and sell my footage of premium homes to real estate agents and practice with my 360 camera. Footage is high-def and is easily played for myself and clients alike. "I use it for a multiple purpose "
very useful when you want to show others how your work is, your day to day. I enjoy how easy the app is to use. It's very simple and I have never had any issues with it. Not a ton of people use the app. I think if more people did it would become much more popular as a social media outlet. 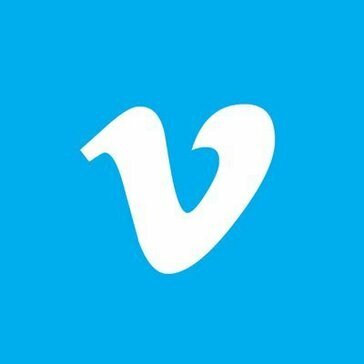 I can edit and share videos using Vimeo 360 which is great. I really like having this ability. Enables me to share and stream media effectively. It’s truly limitless, both as a viewing experience and a new medium for creativity. Offers filmmakers and video editors a new way to tell their stories. This allows for smooth integration of film elements in an easy manner. I wish it was a bit more easily applied for use in the classroom. This allows students to present their ideas innovatively. "vimeo 360 School lessons very good"
"Vimeo helps with sharing critical training videos"
* We monitor all Vimeo360 reviews to prevent fraudulent reviews and keep review quality high. We do not post reviews by company employees or direct competitors. Validated reviews require the user to submit a screenshot of the product containing their user ID, in order to verify a user is an actual user of the product. Hi there! Are you looking to implement a solution like Vimeo360?